One thing I’ve never seen in “mix” form is scallion pancakes. You’ve probably had these delightful, fluffy and flavorful pancakes at a Chinese restaurant or maybe at Korean BBQ along with the plethora of salads. These heavier-than-a-crepe pancakes are so easy to make and great with a dash of soy, ponzu or even teriyaki sauce. In order to inject some umami (the 5th taste) into the “Everything But The…” line of baking mixes, we’ve come up with a lovely “Everything But The…eggs” recipe for scallion pancakes. Here’s the recipe I tested today. I still have some more tweaking to do, but the pancakes had a soft, delectable texture while really delivering an punchy green onion flavor, accented by some sea salt. Slowly add in the dry ingredients. Once packaged, Everything But The will include all of these dry ingredients, pre-mixed, in our fantastic, eco-friendly containers so all you have to do is pour into the wet ingredients above! 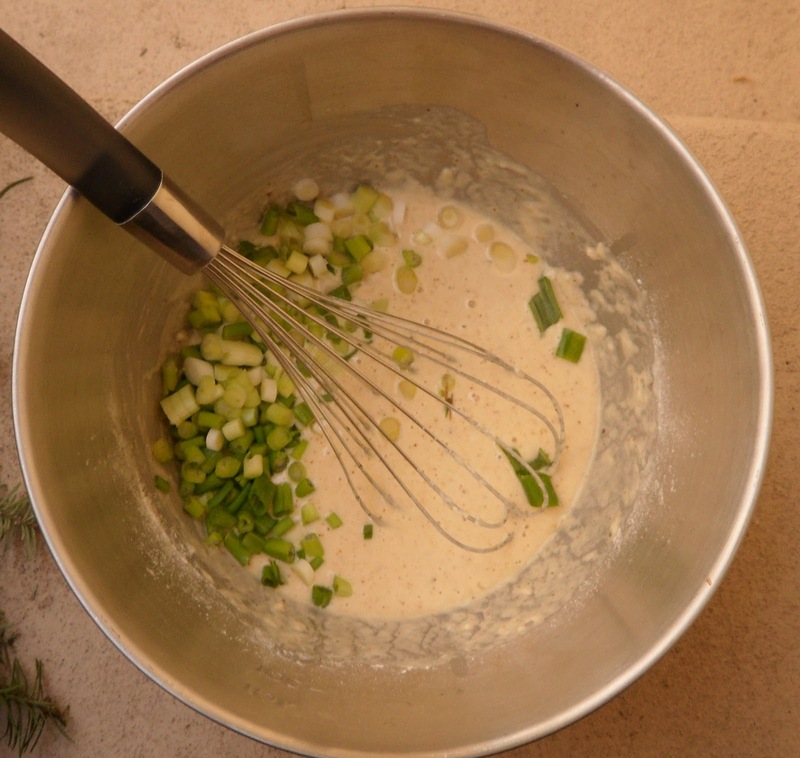 Whisk everything together so that there are no lumps. The great part about the rice flour is it provides a smooth, thin consistency very quickly. 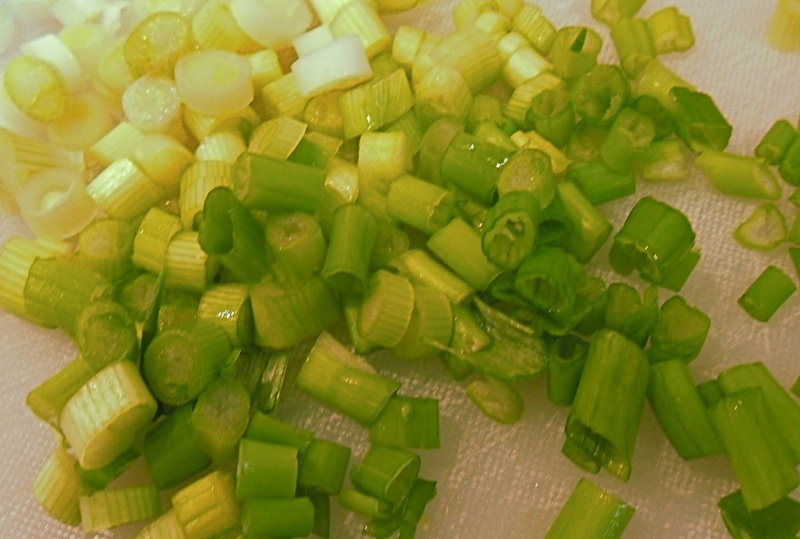 Next, heat a large pan to medium-high heat with 2 tablespoons of oil (vegetable oil works just fine). 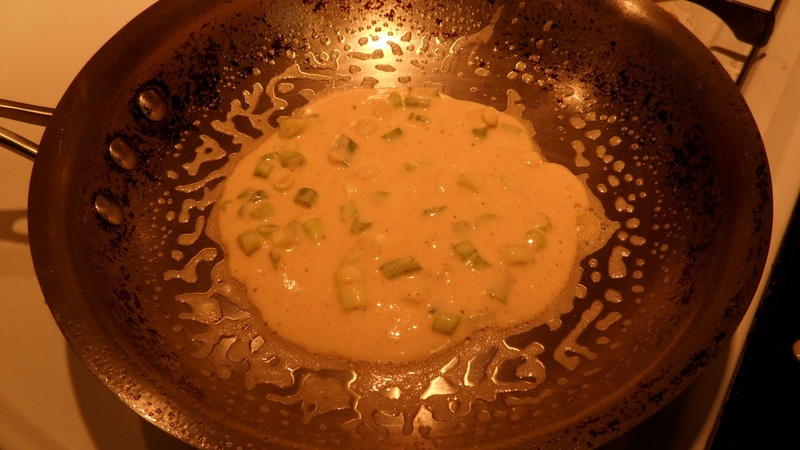 Pour in about 1/2 cup of your batter mix and pan-fry on one side for about 1-2 minutes, then flip and fry the other side. Watch the pan closely and lift the side of the pancake to check for doneness before flipping. Next time I’m going to test these with dried shitaki mushrooms to see how I can inject another umami ingredient into the mix. I’m sure I’ll have to let it sit at room temperature for a few minutes so the mushrooms can re-hydrate in the batter, but I have high hopes for the outcome. If you try this at home, let me know your thoughts and leave a comment below.